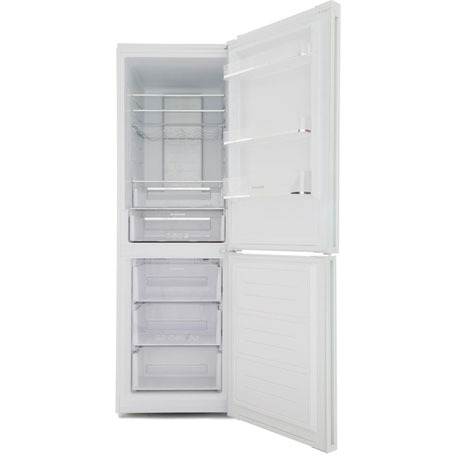 This Hoover Fridge Freezer is ideal for the larger family with a split of 70% fridge to 30% freezer. It has multiple shelves and a large salad drawer in the fridge. 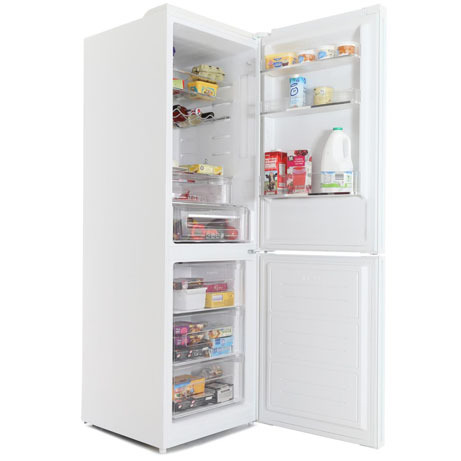 Featuring frost free technology this fridge freezer will keep all of your food free from ice and keep your fridge food fresh for longer. 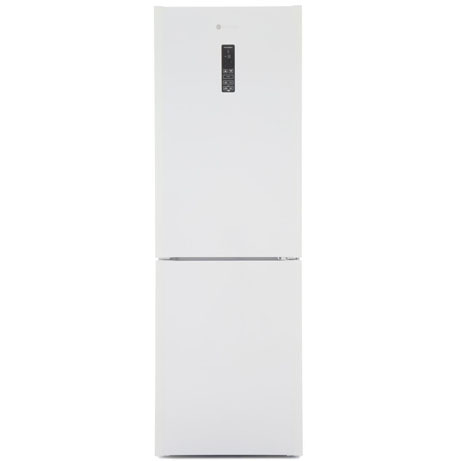 Setting and controlling your Hoover Fridge-Freezer is a breeze with the simple touch control LED display. As well as adjusting the temperature settings, this interface can also be used to select from an array of functions including holiday mode & fast freeze. Featuring an almost futuristic option of ‘Ice Drink’ mode, this fridge freezer will alert you when your drink has been perfectly chilled, to your requirements. 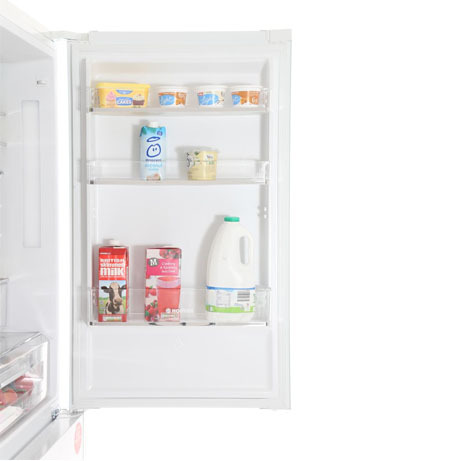 With modern LED lighting on every shelf level, you will never struggle to see the contents of the fridge ever again. 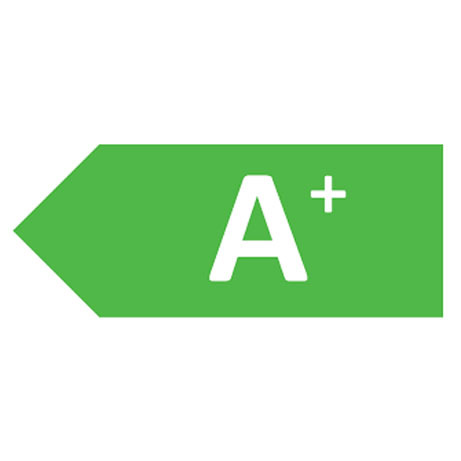 Not only is LED lighting brighter, it also lasts longer and is much more efficient consuming much less energy than standard light bulb.